"This is not just a new building ... this is a new vision of education." President and Founder, Appaloosa Management, L.P. The David A. Tepper Quadrangle, or Tepper Quad, will transform the Carnegie Mellon University educational experience. 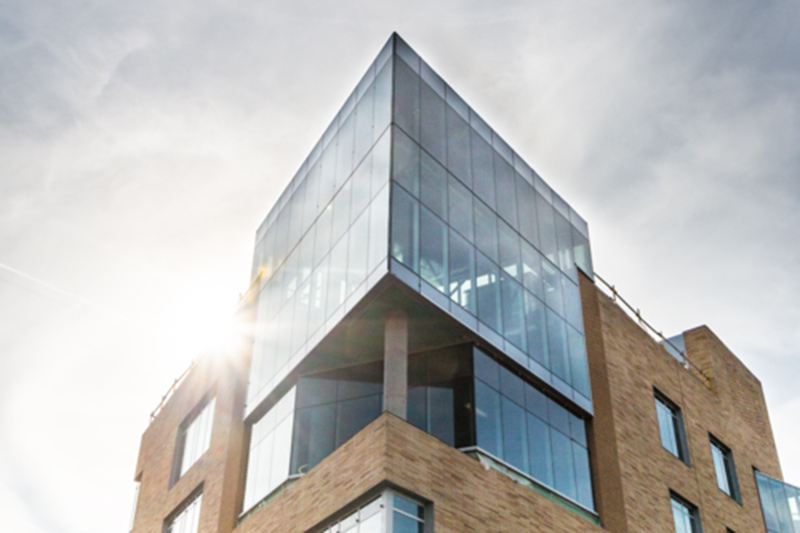 The new home to the Tepper School of Business, the Tepper Quad will facilitate a fresh model of business school education. Physical and intellectual space will be shared between the Tepper School and other CMU colleges and programs. 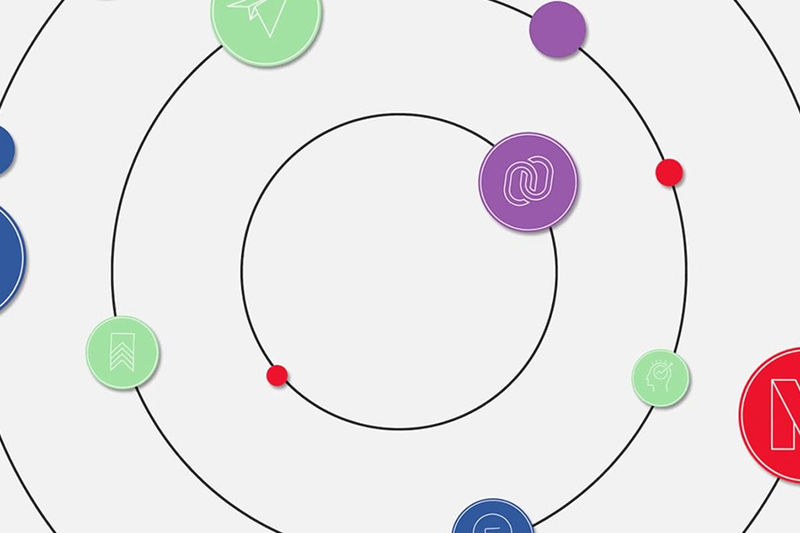 Located at the center of campus, innovation in teaching and research creates collaboration that brings disciplines together that typically are separate on most campuses. Imagine a place where current and prospective students, families, alumni and community members come together to be a part of the CMU experience. 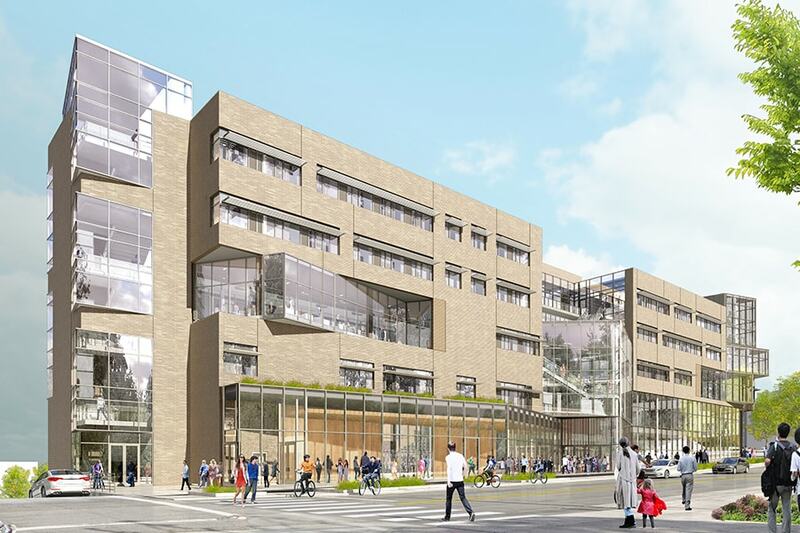 The Tepper Quad provides the ideal environment for interconnected learning, such as collaborative spaces, a new auditorium, flexible study areas, incubator spaces and a new maker space. It will be a catalyst for campus-wide collaboration, home to CMU's first University Welcome Center — a destination for campus visitors to experience the full breadth of the CMU story. The Tepper Quad elevates the business school as an interconnected partner for all Carnegie Mellon colleges. The new site will allow for a significant expansion of the undergraduate and master's student populations. The TEL Center, part of the Eberly Center for Teaching Excellence and Educational Innovation, will foster development of new educational technologies by leveraging state-of-the-art facilities in the Tepper Quad, including technology-enhanced experimental classrooms and teaching innovation studios. 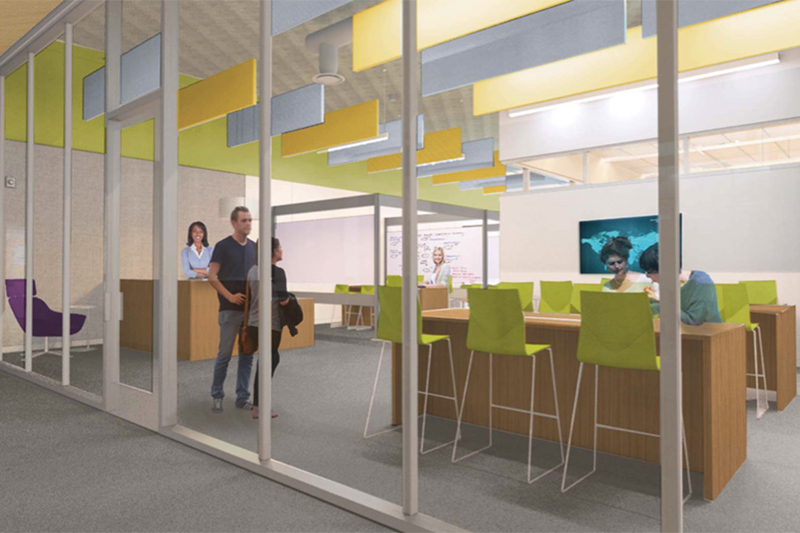 The Coulter Welcome Center will serve as a place for visiting students and families, alumni, donors, corporate partners, government officials and area residents to connect to the academic innovation and the student experience at CMU. 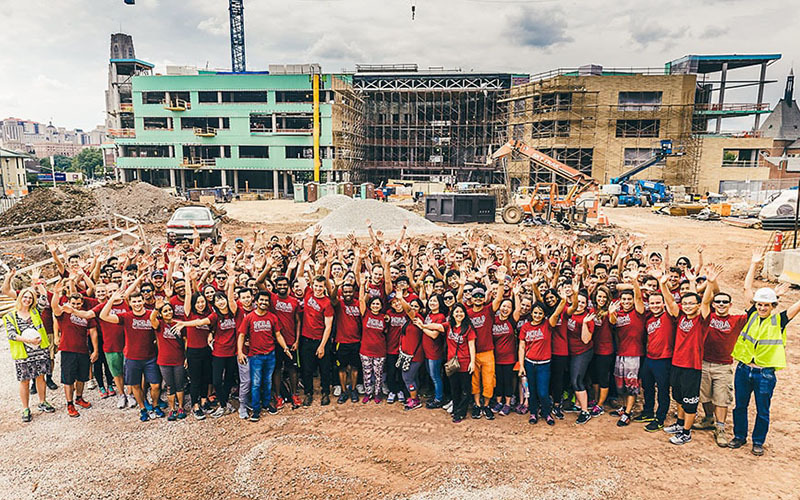 The first incoming MBA class of the new Tepper Quad, class of 2019.